How to Make an Instagram Theme with the White Line in the Middle? This question is in the top 10 I get asked. Keep scrolling. 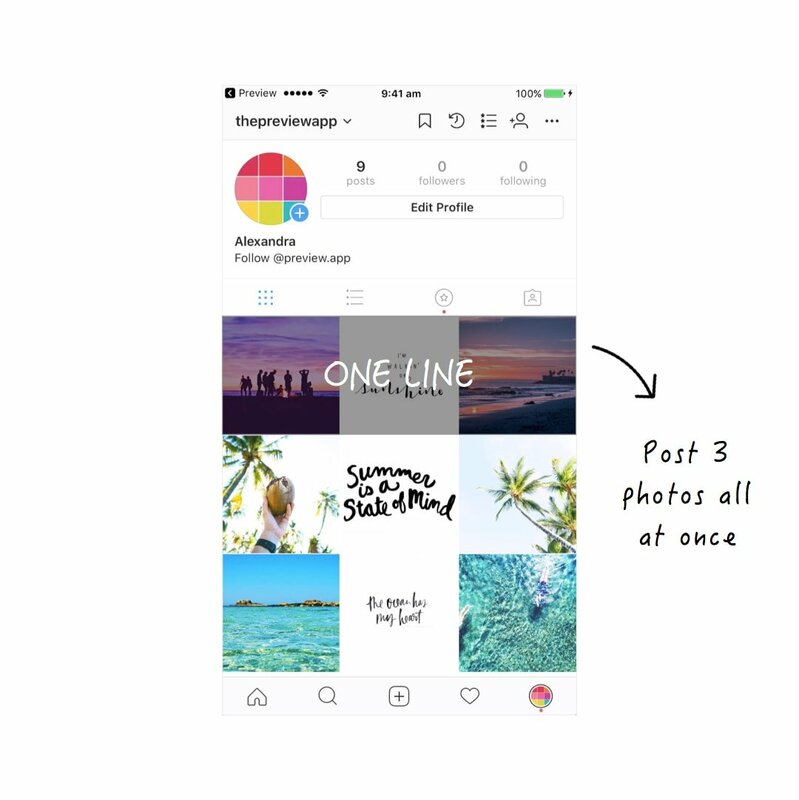 I’m going to show you how to design an Instagram theme with the white line in the middle. 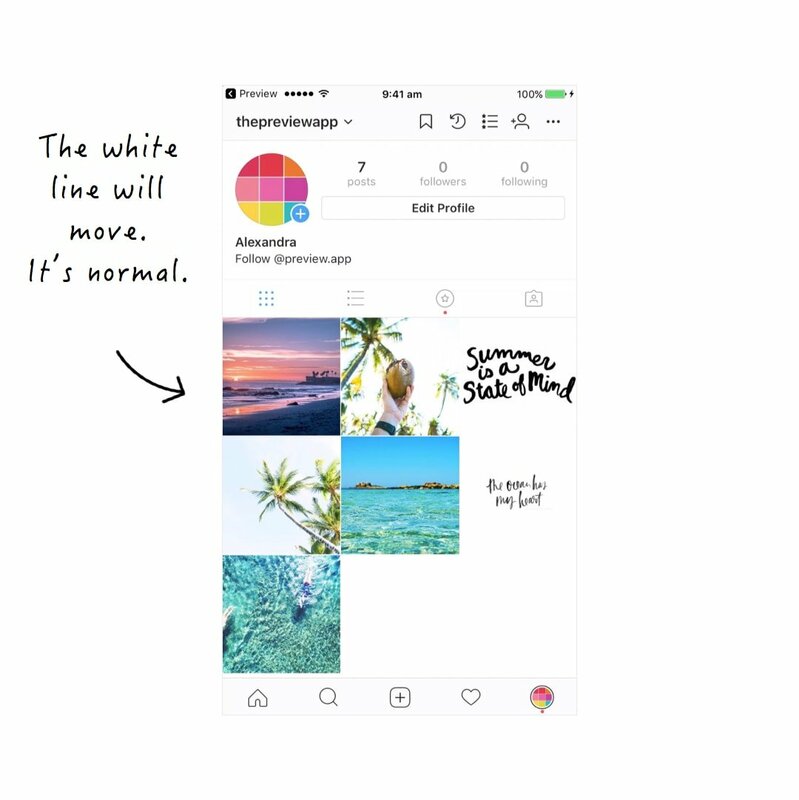 I’m also going to show you 2 tricks to keep that white line in the middle of your grid once you post your photos on Instagram. Make sure you have Preview app on your phone so you can follow the tutorial with me. 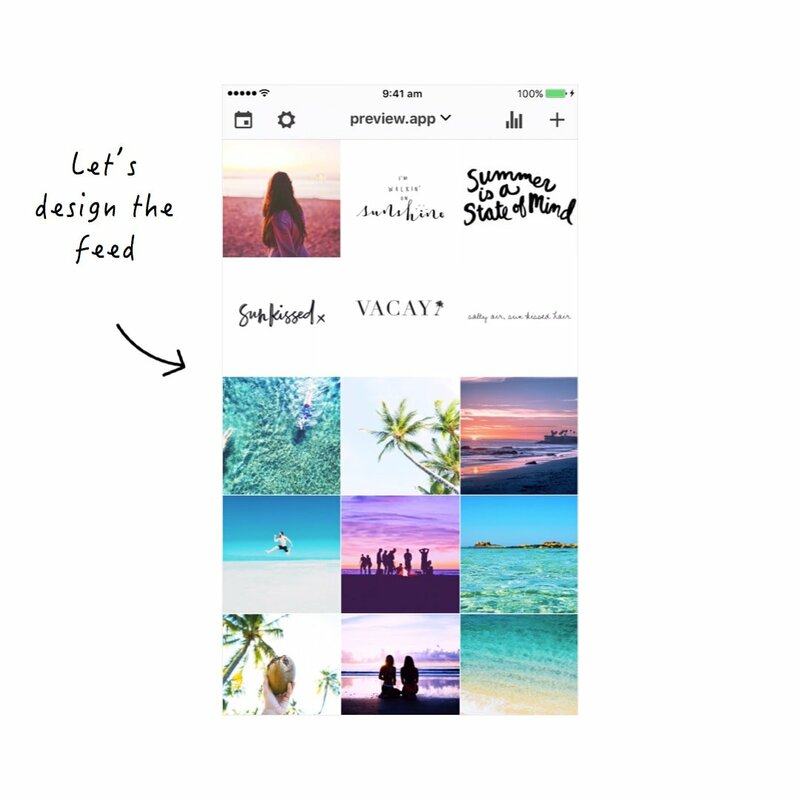 Use Preview to design your feed before you post on Instagram. Upload your photos and what you want your line in the middle to be (for example, quotes on a white background). 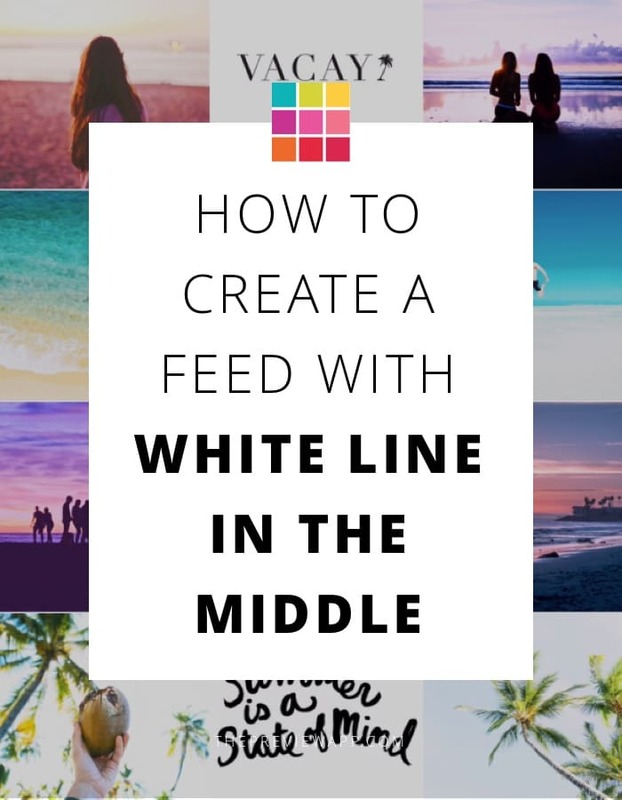 Now you can design you feed with the white line in the center. 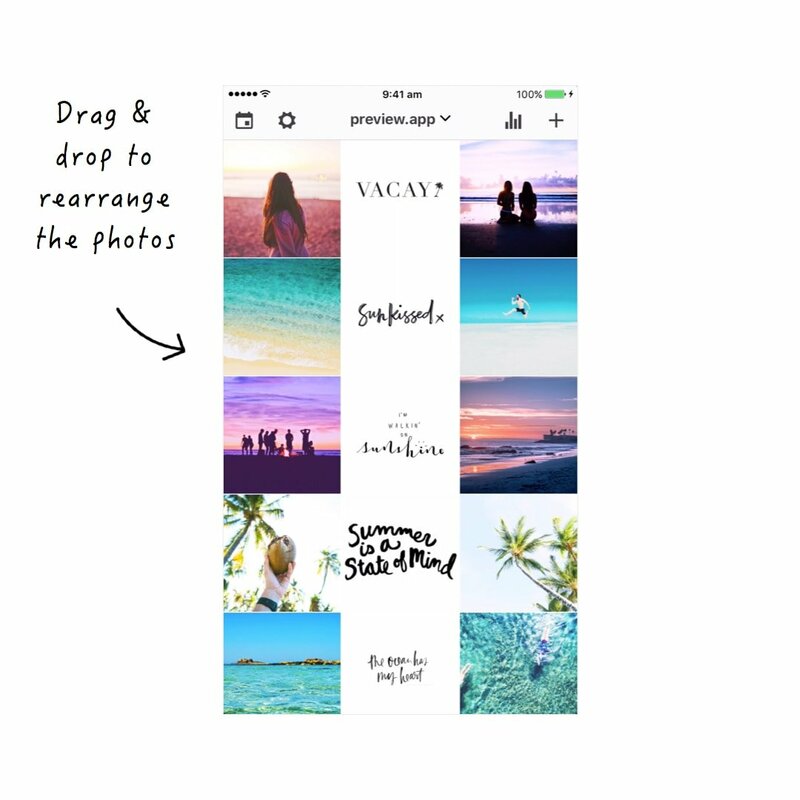 Drag and drop the images to move the photos around. This is normal. Every time you will post a new image it will shift your entire feed. That’s how Instagram works. So how can you keep the white line in the middle on Instagram? If you post one photo, post the other 2 photos as well. A lot of people doing this theme don’t post 3 photos straight away. You will often see their white line is on the left or on the right, not always in the middle. And that’s ok.
You can post one photo in the morning, one during lunch time and one in the evening. This way you will always have your white line in the middle at the end of the day. Plus, by doing that, you are also reaching a lot more people on Instagram (I’m assuming your hashtag game is strong). 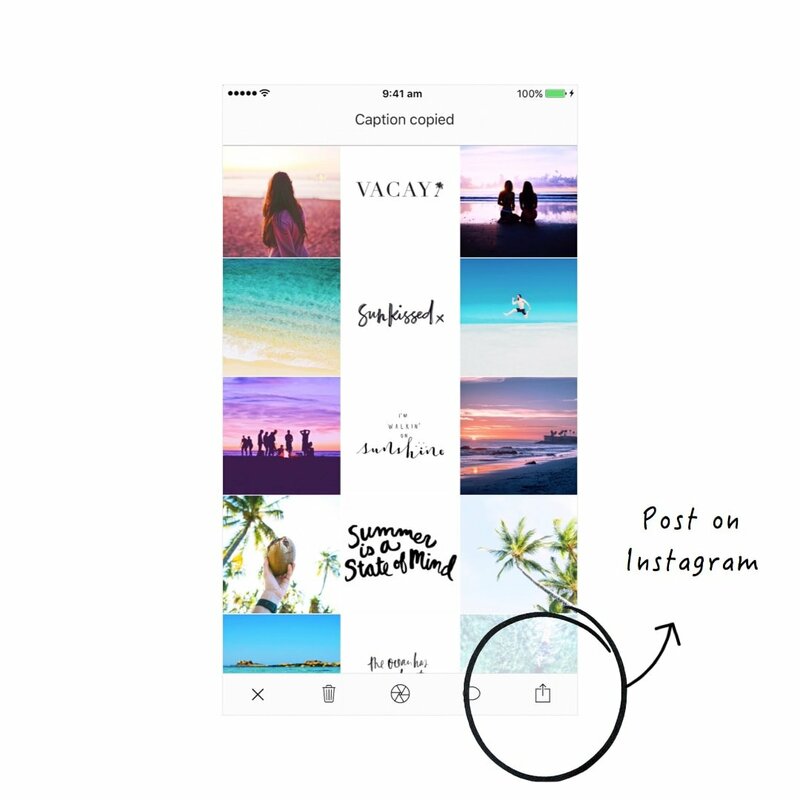 If you’re trying this Instagram feed style yourself, leave your Instagram username in the comments below. 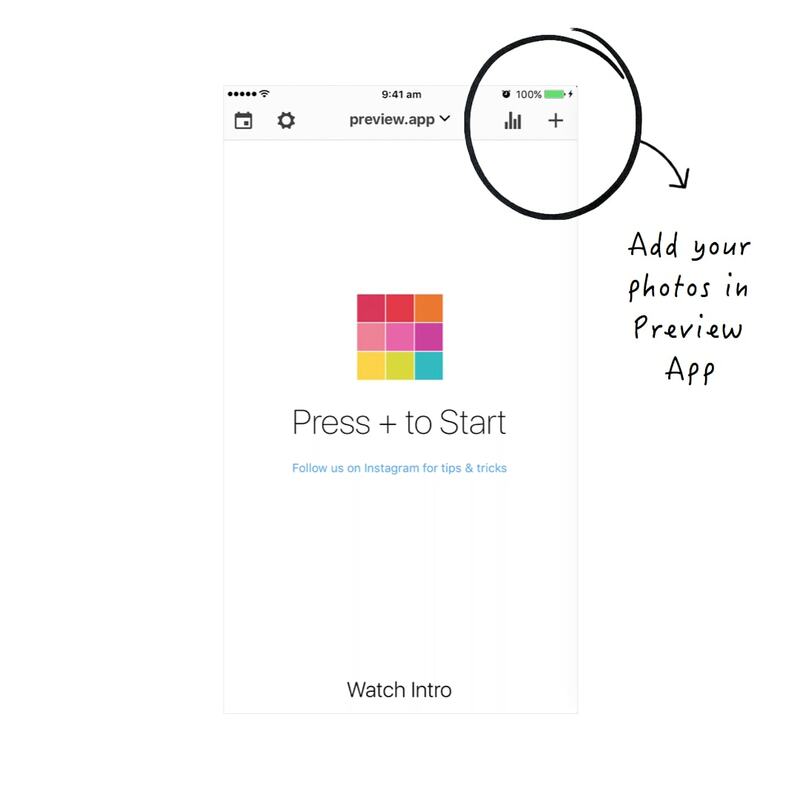 Until next time, see you all on Instagram (@preview.app) for more tips, tricks and theme ideas.